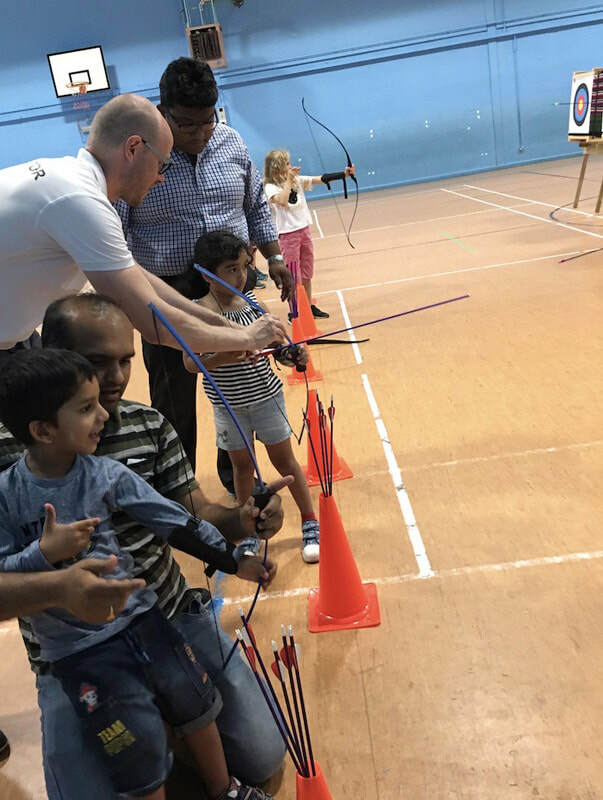 Archery makes a great choice for a party, and we can provide a variety of activities suitable for different ages and abilities. 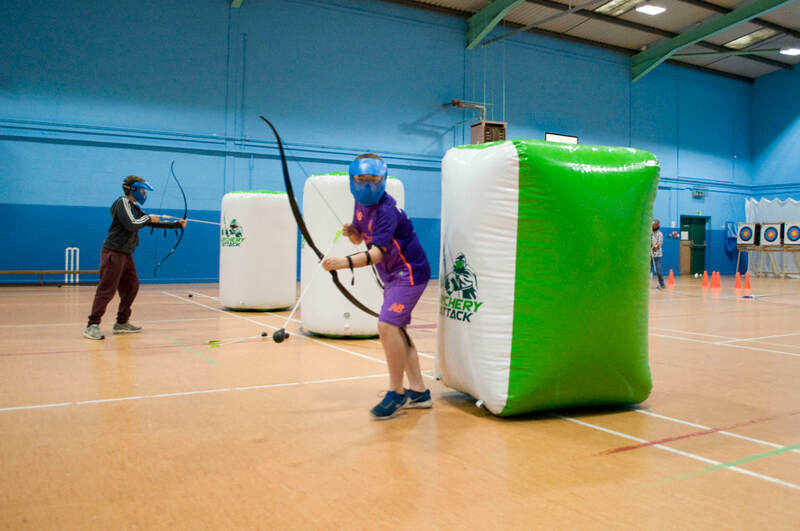 As well as normal target archery (which is an excellent group activity in itself), we have the equipment to run Battle Archery (or "Archery Tag" - see below) and we can also provide an Air Rifles session as an extra activity (please see the Experiences section for more information on our air rifles). 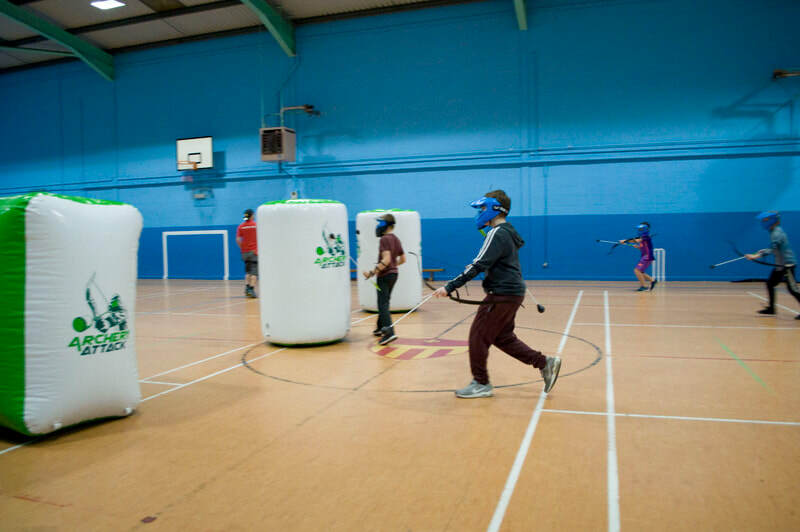 We can 'theme' your party as well - with "Zombie Apocalypse" being a popular choice older kids (and the Big Kids as well! 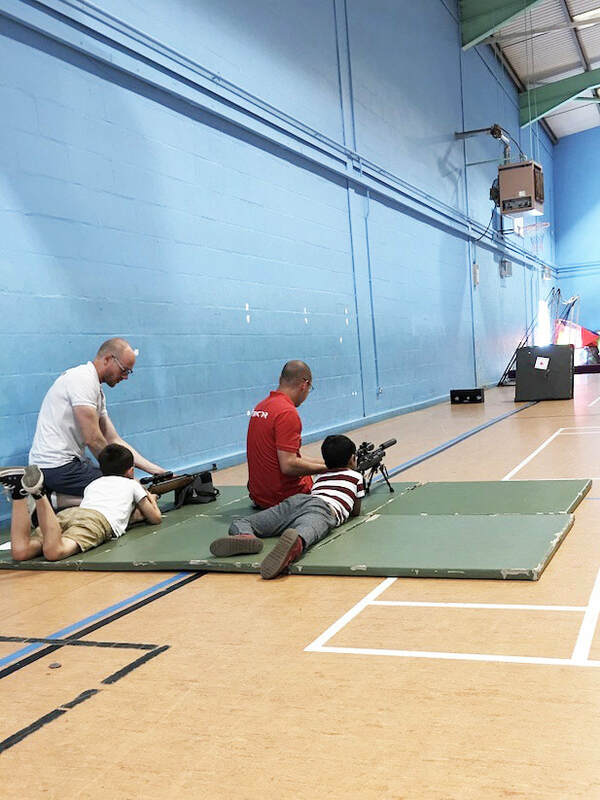 ); take a look at our Families section for more photos. If you are interested in an archery themed party we can provide a dedicated venue and all instruction, equipment and safety guidance throughout the event. 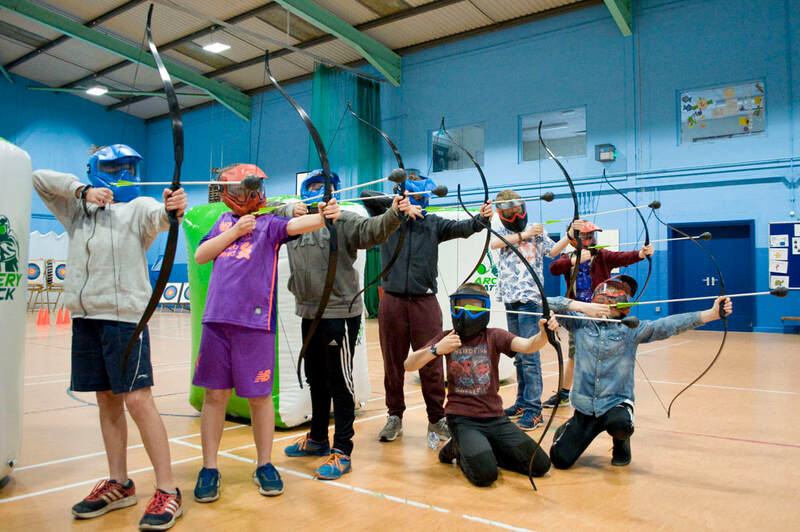 We can provide archery parties for up to 18 participants, and Battle Archery for up to 12 participants. The minimum age for target archery is 6, and the minimum age for air rifles and battle archery is 9. 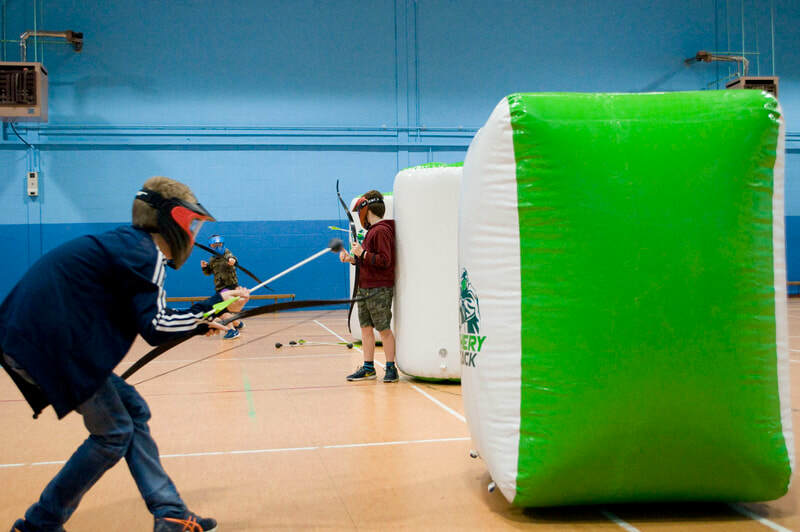 It is possible to combine target archery, air rifles and/or Battle Archery activities in one event, depending on number of participants and available time. 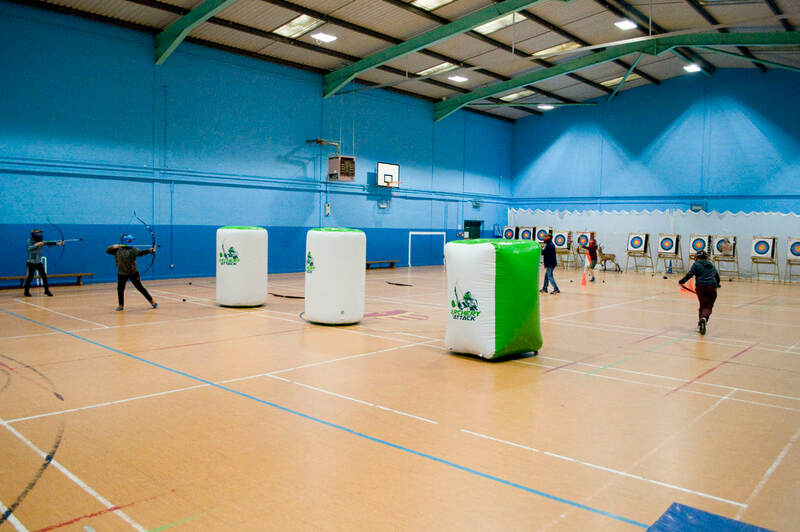 Prices for a target archery party for up to 12 participants start at £200 including venue hire. 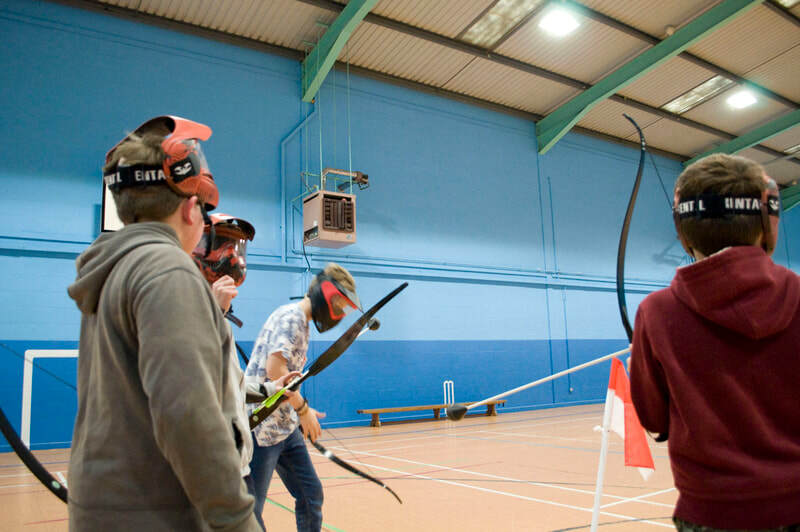 If you'd like to talk to us about an archery party, please contact us on [email protected]. 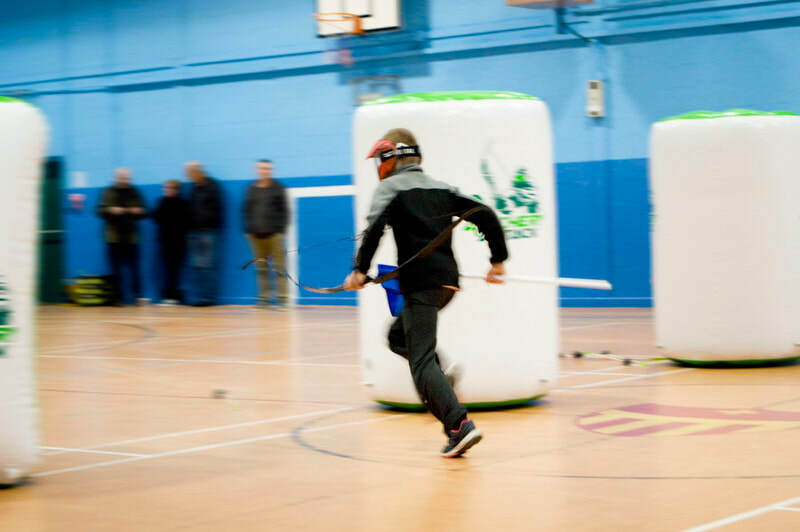 Battle Archery games are similar to paintball, but of course played with bows and arrows! 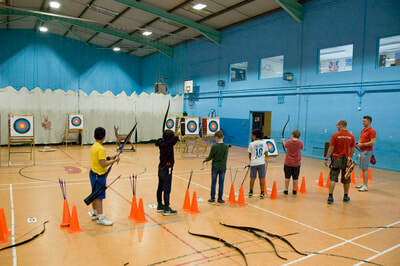 Special arrows are used with a permanent large rubber tip, and padded helmets are worn. 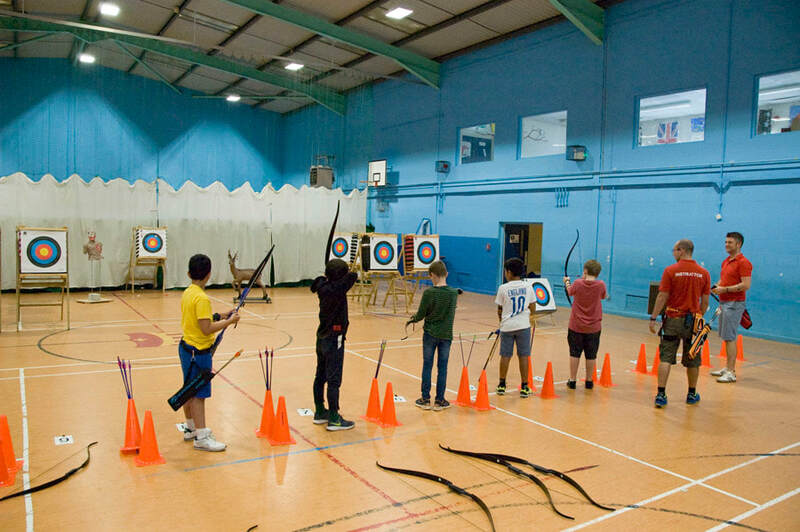 The arrows still pack a punch though, so there is every incentive not to be hit! 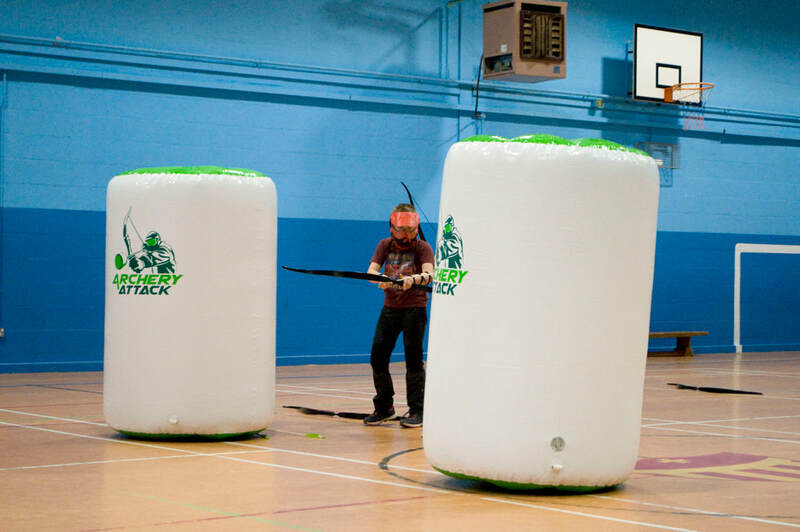 Archery Tag differs from paintball in that each player can only carry a few arrows, so frantic dashes are needed to reload making it a very physical game. 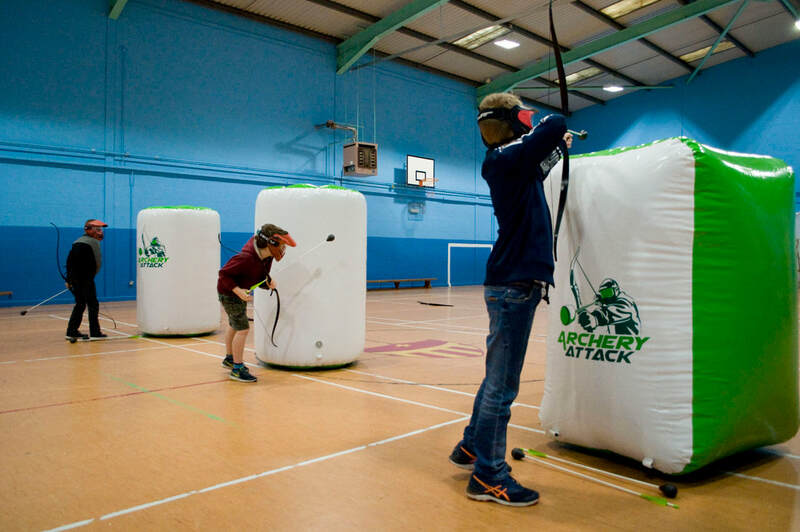 Tactics are also needed to move around and keep your team-mates supplied with arrows!